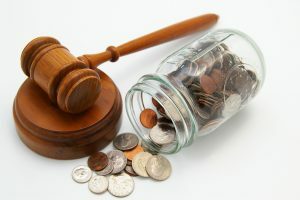 A recent article in the press highlights the need to protect your finances in divorce. A separated couple got into such a mess that the wife sold the family home while the husband was away in New York see http://www.dailymail.co.uk/news/article-3329134/Scorned-wife-takes-ultimate-revenge-cheating-husband-selling-house-holiday-New-York.html. While the media was attracted to the fact that a spouse was allegedly cheating, it is the asset protection issue that should alarm anyone involved in separation from their husband or wife. clearly there are companies out there that will buy a house quickly, potentially without the knowledge of a non owning spouse who nevertheless may have a legitimate interest in the value of the house when it comes to divvying up assets in divorce. To find out more, telephone Stonehewer Moss on 01606 872200 to speak to Michael or e mail Michael.brennan@stonehewemoss.co.uk. Visit www.stonehewermoss.co.uk. This article was added on Tuesday, November 24th, 2015 at 10:49 am and is categorised under cohabitation disputes, Divorce, divorce finances, Family finances, Family Law. Both comments and pings are currently closed. Error: Error validating access token: Session has expired on Saturday, 09-Mar-19 13:12:58 PST. The current time is Thursday, 25-Apr-19 10:07:56 PDT.